OK, now it’s time to have some fun on a few well-deserved days off! 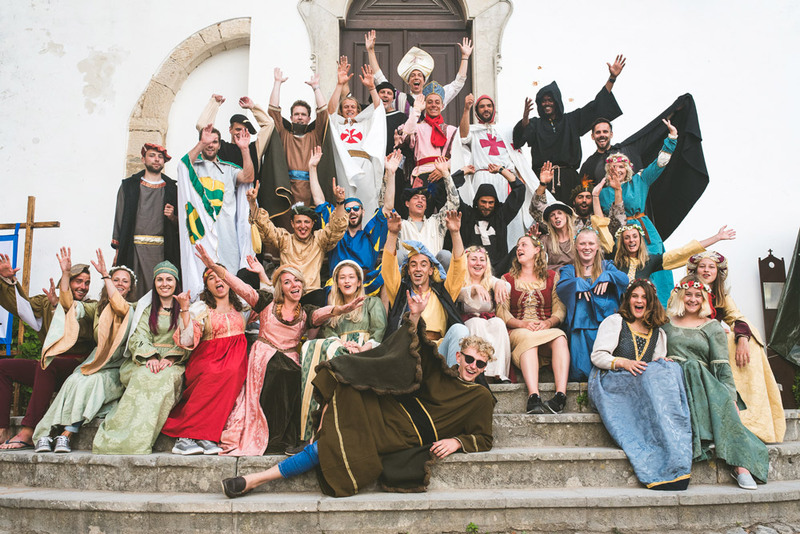 Here at Baleal Surf Camp we try to help you get the most out of your time, doing what you’re really interested in doing – surfing, hanging out with lively, funny people, watching the sunset with a couple of beers, doing some wild dancing, and getting to know a little about Peniche and the western region of Portugal. The house you’ll be staying in is very close by our Surf Center. 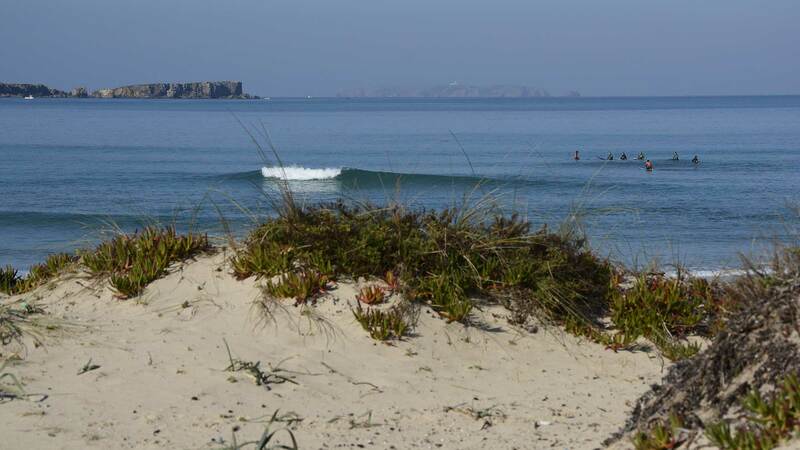 It’s an easy walk to our beach, where you’ll find your wetsuit, surfboard, and your surfing instructor. Classes won’t have more than 8 students to every two-person (surfing instructor and surfing assistant) team. You’ll make fantastic progress with all that attention and personalized service. You can also expect to have video analysis, a very important tool for your progress. At our surf camp, you’ll have classes twice a day, for approximately 2 hours each. Classes start on Monday and end on Friday. The weekends are yours. 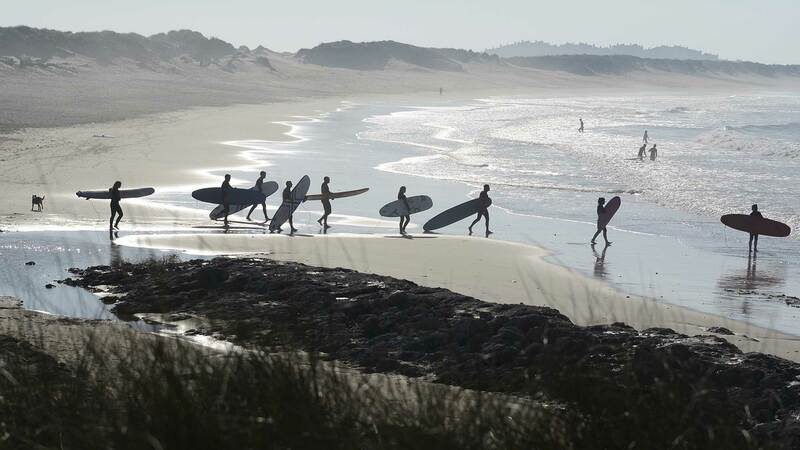 The great advantage of our surf camp is our base on the beach where you’ve got all the surfing equipment you need at your disposal all the time. After class is out, you’ll still have lots of free time. You’ll be the one to decide when you want to go surfing or when you just feel like relaxing and watching the waves roll by out in front of our bar. We try to provide lots of different activities for you to do, to make a dynamic and creative week during your stay. Plus you’ll get to meet people from all over Europe. 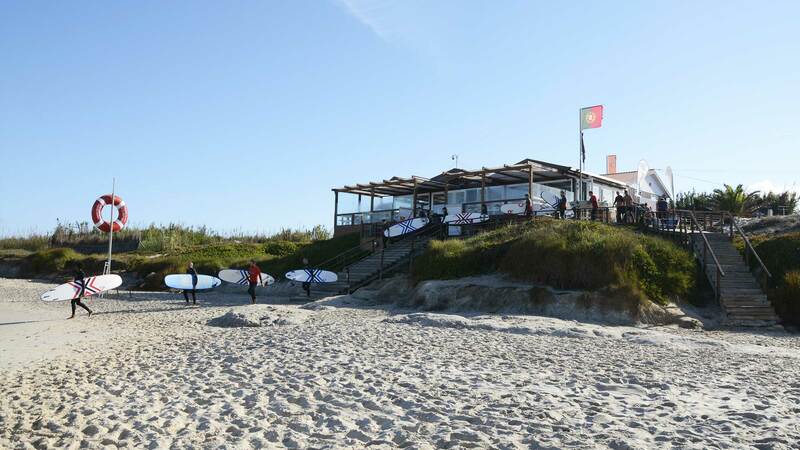 As part of the surf camp weekly program, you will get you to know how a surfboard is produced and we will give you a tour around Peniche Península and finally we will take you to the medieval town Óbidos for a great cultural end to the day. On Fridays we have our already-famous weekly get together dinner, where everyone at the camp gets together at our beach bar. It’s also a chance for you to watch the week’s video footage and check out the week’s photos, which we pass around at the end of the dinner. Our surf base is right next to “Bruno’s Bar”, the spot for good food and drinks and some incredible parties. You can meet with your new friends, enjoy the incredible sunsets and both eat some nice food. It is a perfect spot for the relaxation in between surf sessions.